In this area of the Apparel Search fashion brand directory, you will find women's fashion brands from leading apparel companies and fashion designers. On this particular page, you will find information regarding women's clothing with the Wilson brand. You are welcome to utilize this section of our clothing guide to review Wilson news, Wilson blog posts, Wilson photos, and more. Wilsons Leather is a U.S. leather retailer, selling products such as leather jackets, belts, shoes, handbags, and gloves. Wilsons Leather is a leading specialty retailer of quality accessories and outerwear. They are dedicated to providing luxury and style at exceptional values for the fashion conscious consumer. Their history dates back to 1899 as Bermans Leather, a leather garment manufacturer and factory outlet retailer. Bermans Leather and Wilsons House of Suede and Leather merged in 1988, becoming the firm you know today as Wilsons Leather. Wilsons Leather currently operates under two formats. Their Wilsons Leather Outlet stores offer a variety of designer in-season products as well as special purchases and clearance items for both men and women. 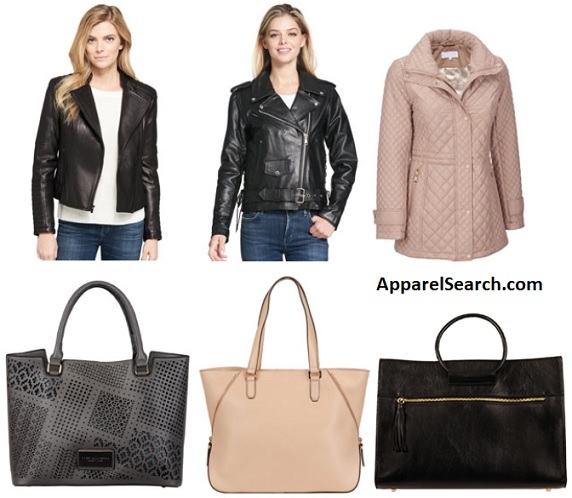 Categories include outerwear and accessories such as handbags, briefcases and travel items. The companies e-commerce site offers an extension of their store experience and is intended to increase brand awareness, strengthen the relationship with their customers, make their merchandise accessible to those outside the geographic reach of their stores, and facilitate cross-channel marketing. Learn more about the women's Wilsons Leather brand. In July 2008, Wilsons Leather was acquired by outerwear company G-III Apparel Group, LTD. Learn more about the G-III Apparel Group. If you have changed your mind and do not wish to research the brand Wilson, you can use the search engine on this page to find another clothing label that may be of more interest. Apparel Search is a leading guide to fashion, style, clothing, glam and all things relevant to apparel. We hope that you find this Wilson page to be helpful.